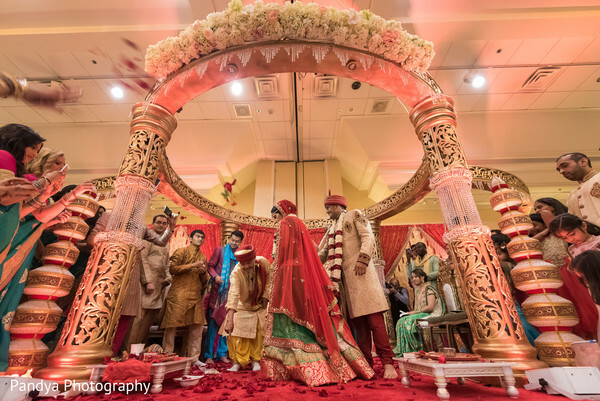 Today we are at the always lovely, Hanover Marriott for a charming Indian wedding by Pandya Photography. Now this is not something we hear every day, so listen up Maharanis! 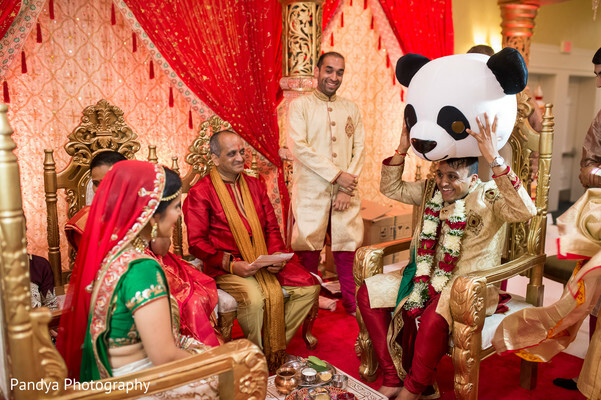 The groom wore a Panda costume into the mandap, so when the priest removed the curtain the bride was surprised to see a Panda when she was expecting her groom. Clearly this is a couple who loves to have fun! 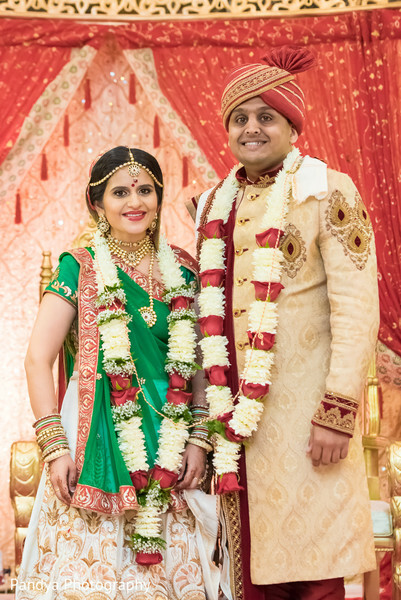 Rangoli Weddings decorated this golden mandap with lush, white blooms and Platinum Dream Events made sure that the ceremony went off perfectly. 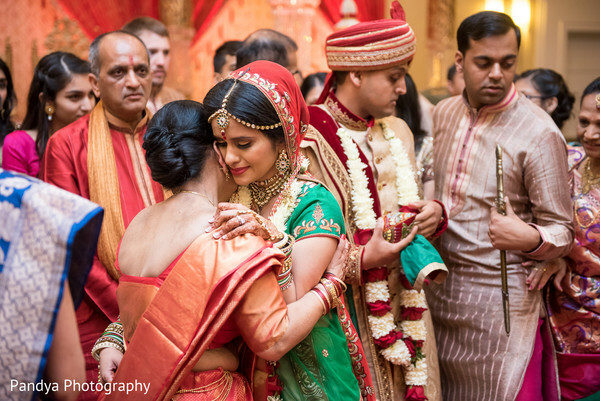 If I had to choose just one, my favorite detail would have to be the bride's traditional wedding lengha and her make up by Cinderella Bridez. 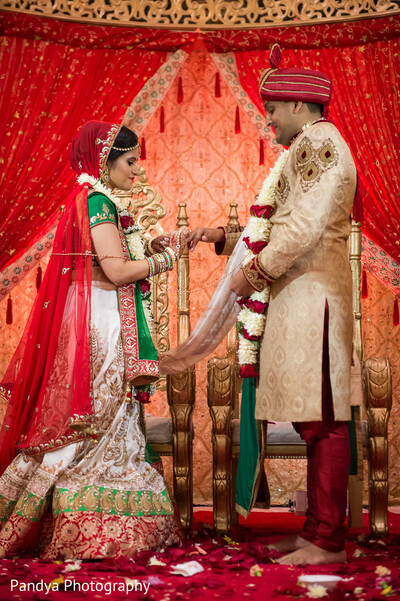 Join me in the gallery for more fun moments from this adorable pair! A fantastic reception is coming right up!